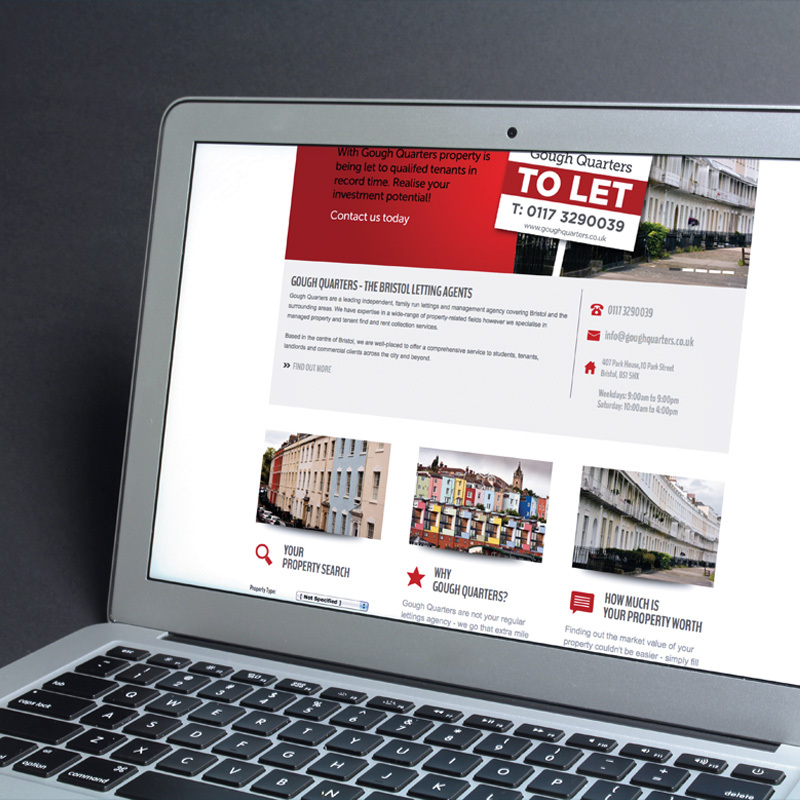 To compliment this Letting Agents Website Design comes the business stationery. 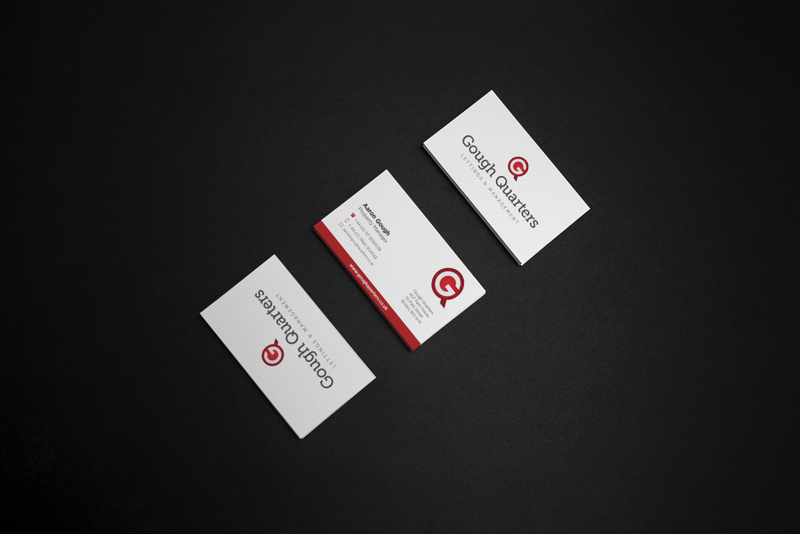 Business cards, letterheads and compliment slips all ensure brand consistency across the board. Modern font choice and a simple colour palette ensure consistency across all media. Instantly recognisable and becoming more familiar to the Bristol lettings market daily. Arguably the most important tool in any property agents box is the Sales Board. These are seen more frequently by potential purchasers and customers so must be strong, clean and often have to fight for attention against other estate agents boards. As one of Bristols’ premier letting agents, Gough Quarters took the bold step of ensuring that their new website didn’t look like every other letting agents website design – and we all know what the majority of those look like. Working with Aaron, Designers Up North instigated a bold design that ran across not only the website, but all printed collateral as well. With a simple 2 colour palette, and with ‘less is more’ firmly in mind this website goes from strength to strength. A strong font choice coupled with strong call-to-action messages ensures this Bristol Letting Agent are all set to build on their new brand.